For over 10 years ipCMS has been instrumental in assisting startup companies in the mobile, smartphone, embedded software, digital and social media marketplace. Some of these clients and experience are listed below. ipCMS has particular product and business development experience in the field of SmartPhone information input solutions. It has developed expertise and relationships with many of the major OEMs and wireless carriers who appreciate these solutions. We are particularly pleased to have been able to help London based entrepreneurs Jon Reynolds and Dr Ben Medlock at an early stage on their journey creating the stellar UK success Swiftkey, recently voted as one of the top UK startups to watch by WIRED magazine, and others. Swiftkey recently raised £14.5M series B funding from existing shareholders and American backers. ipCMS has been working with offshore mobile application technology and publisher clients wanting to establish, or support existing products into the UK marketplace. ipCMS supplied on-boarding resource and expertise for enhancing its products in the UK marketplace. This includes strategic advice on product fit and localisation, advice on evolving UK wireless carrier strategies and requirements, publisher operation requirements, UK billing best practice, and critical UK compliance with regulatory bodies such as PhonePayPlus. We helped Australian listed Jumbuck Entertainment Ltd. (ASX:JMB) by providing product review and design resource, regulatory support, and hands-on business development resource for its traditional dating and chat products in the UK marketplace. We also played a strategic role in their mission to realign existing technology assets in chat, and social media, to the new emerging smartphone landscape. Latterly, ipCMS, and associates, directed the development of a new Social Media Management platform for digital rights owners. Called HEROES, the platform helps businesses leverage the social media activity of its celebrity assets for real business advantage. 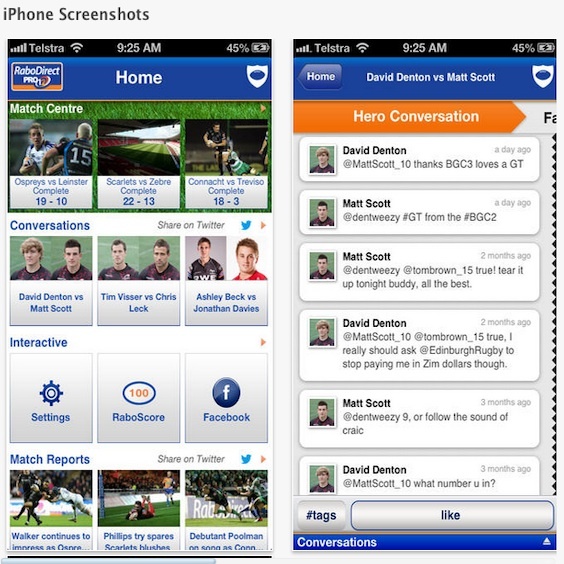 ipCMS and associates led the product development, commercial modelling, and first sale and deployment of HEROES in a bespoke iPhone application 'RaboDirectPRO12', for rugby union franchise owner Celtic Rugby Ltd. Following this project ipCMS and associates also oversaw the global launch of the multi-sport iOS and Web versions called jmbHeroes.